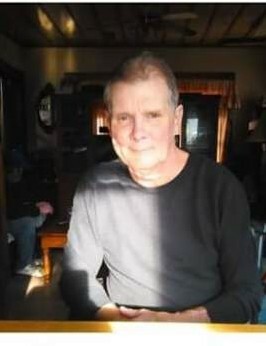 Michael Lee Schwartz, 62, of Indianapolis, passed away on Monday, October 15, 2018. Michael was born in Indianapolis, IN on March 24, 1956 to Marvin and Donna (Barnett) Schwartz. After High School he attended Indiana State University, where he was a walk on baseball player. He loved sports, and was Celtics fan, in addition to being a huge fan of Larry Bird. He liked to work with his hands. He worked at International Harvester in Management before moving on to Beck Toyota, where he was the favorite mechanic. Michael loved spending time with his family and friends. He was very charismatic and kind-hearted. He was generous, and would give you the shirt off his back if you needed it. Michael is survived by his son, Michael Lee Schwartz II; his sister Michele (Bob) Collins; his nephews Kyle Collins and Kevin Collins; his great-nephews Waylon Collins and Remmington Collins; the mother of his children Carolyn Schwartz; cousins Lynne Williams and Craig Williams; and many friends. Michael is preceded in passing by his parents, Marvin and Donna Schwartz. Funeral Services for Michael will be 7 PM, Wednesday, October 17, 2018 at Fountain Square Cremation & Funeral Services. Visitation will be from 3 PM until the hour of service.